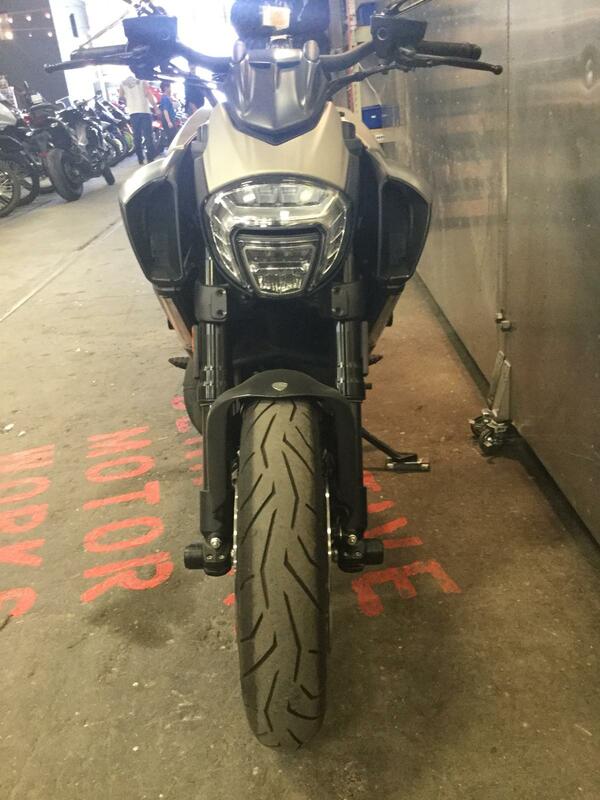 Only 346 Miles! 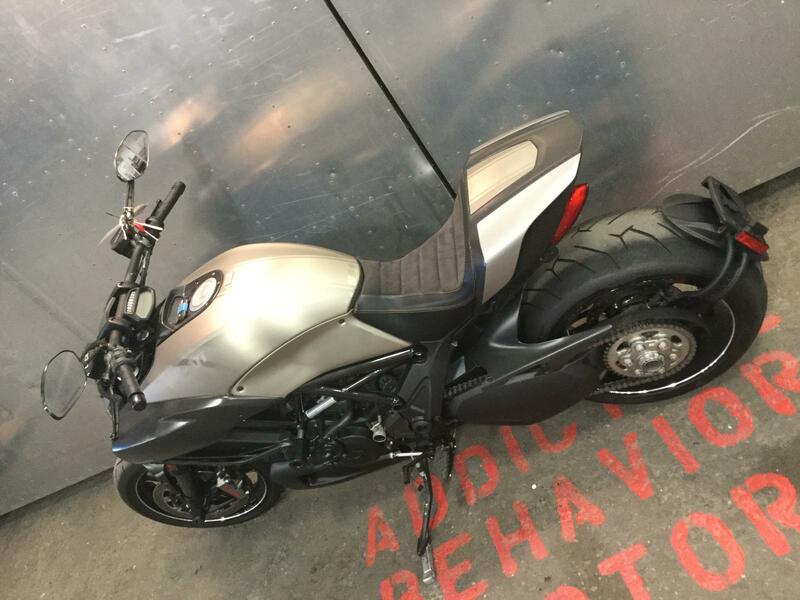 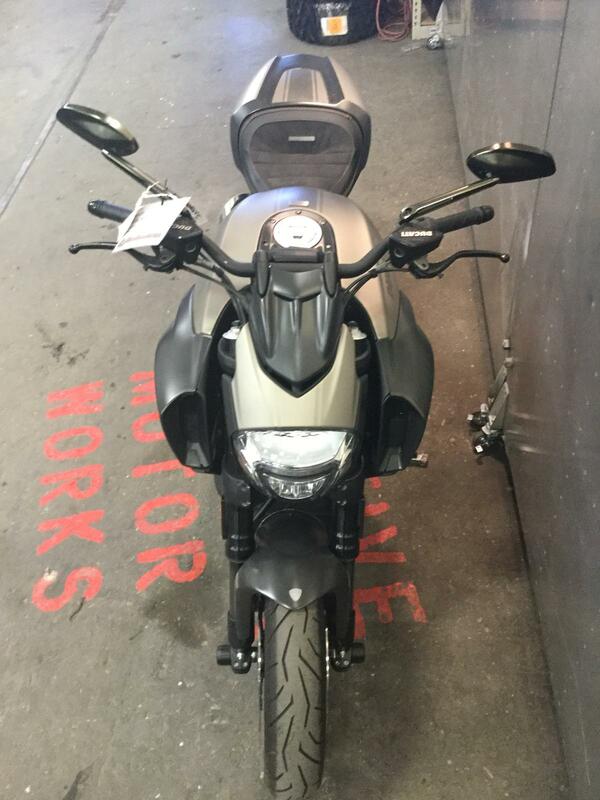 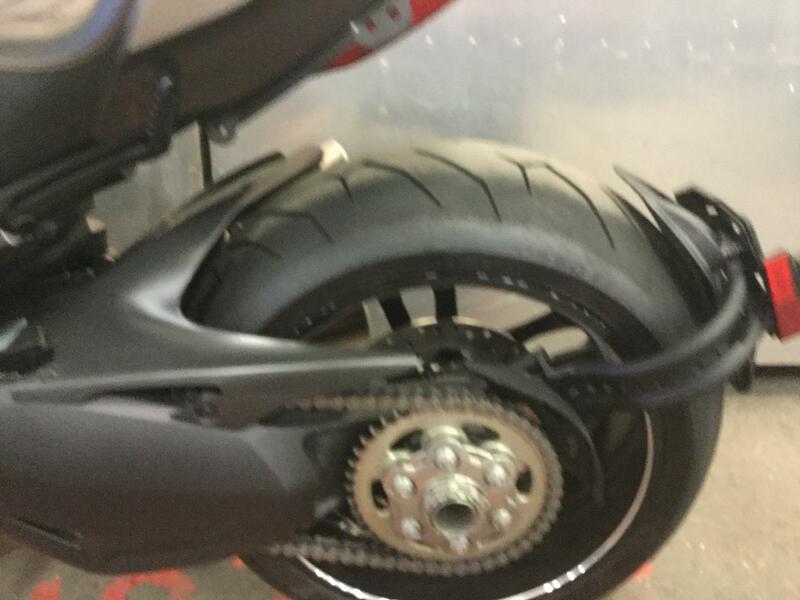 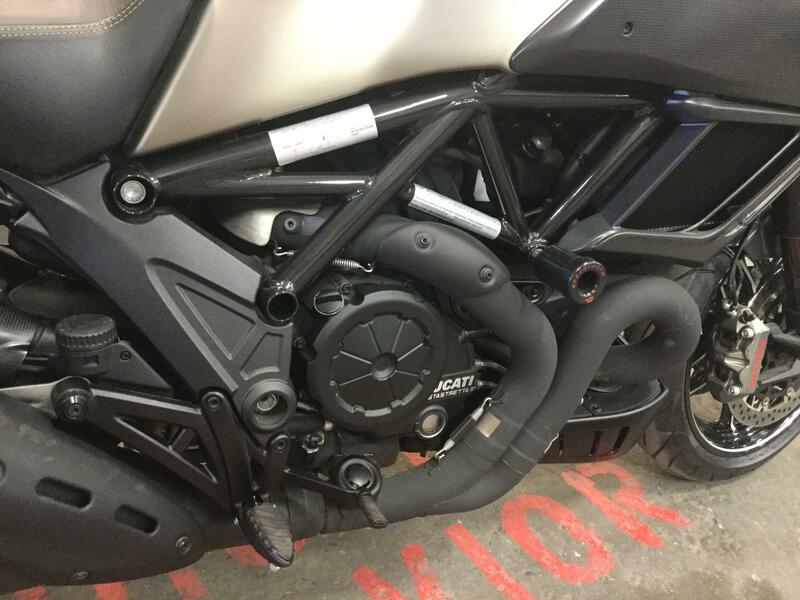 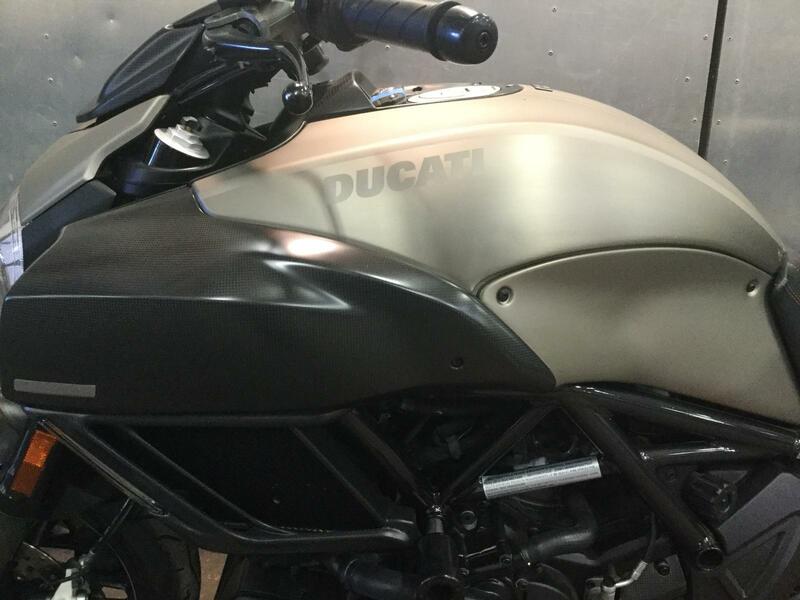 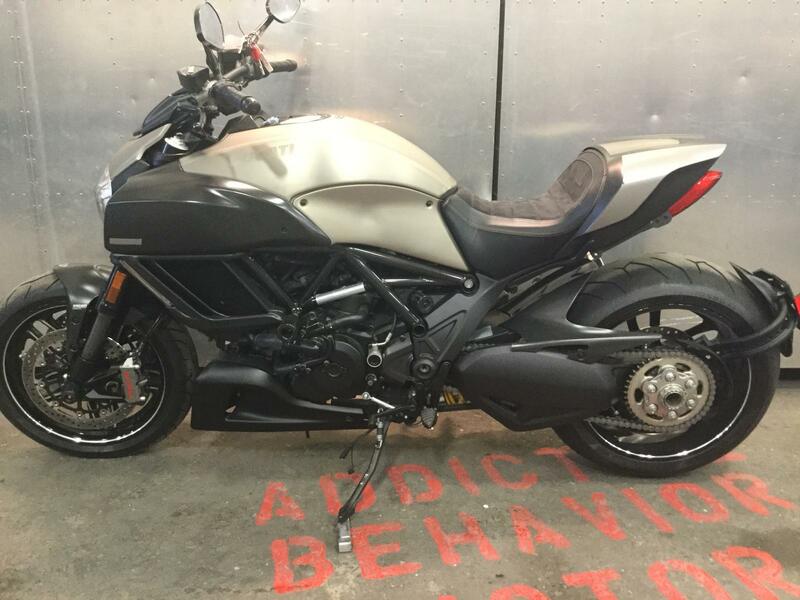 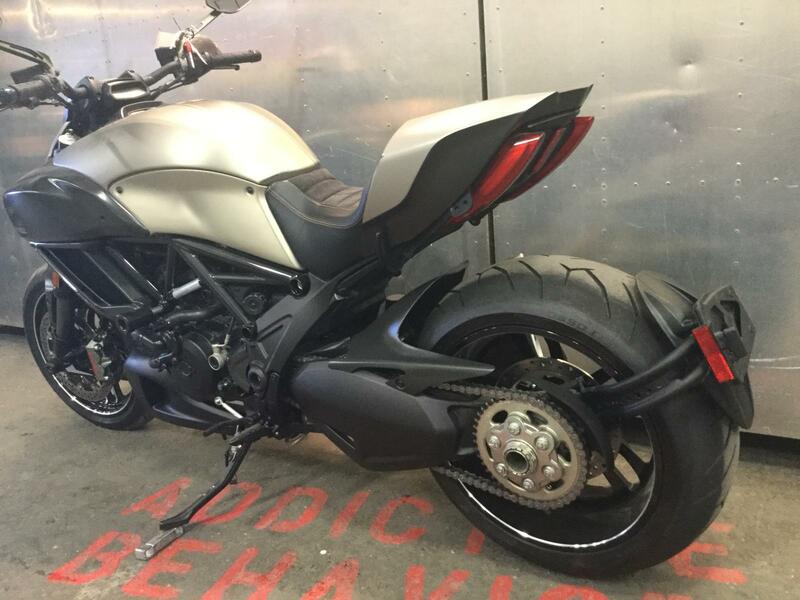 2015 Ducati Diavel Titanium in good condition and ready to ride. 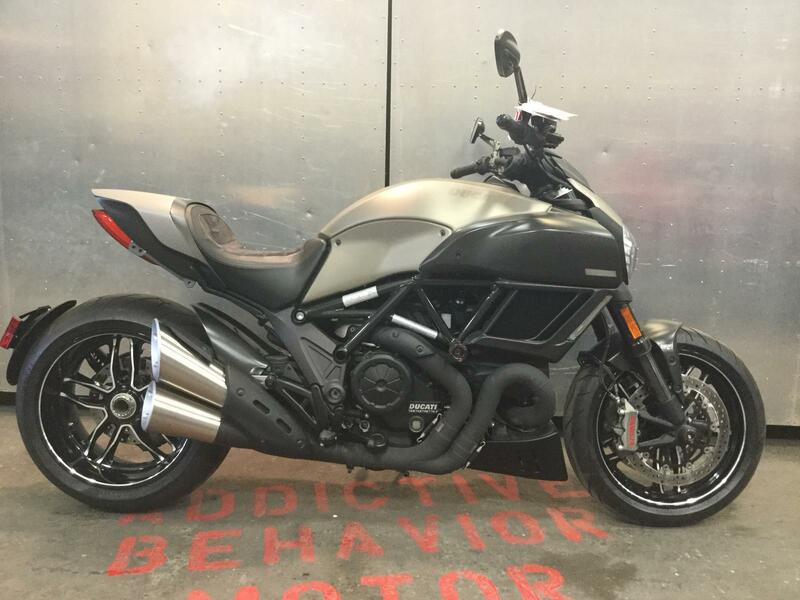 This is one of only 500 of these that were made. 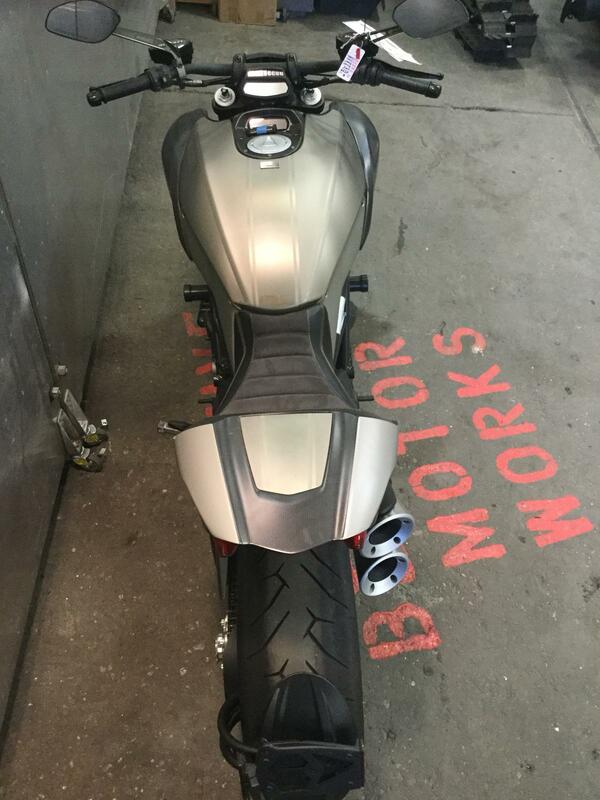 Extremely comfortable ride and tons of power. 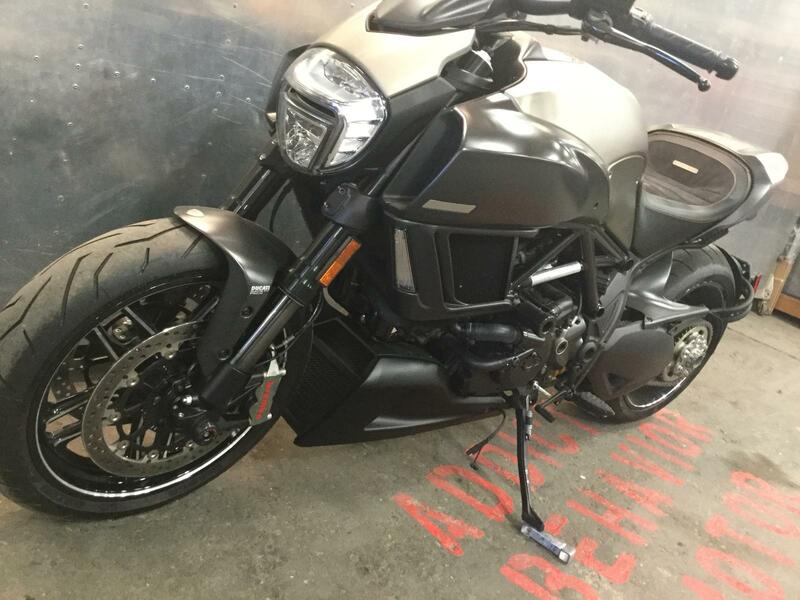 Come by the shop to take a look at it or take it for a ride! 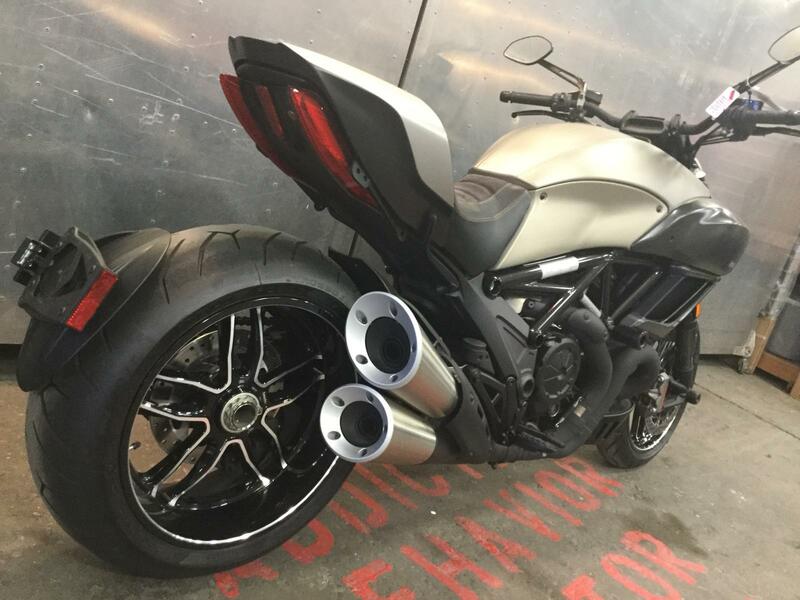 Marchesini Nine-Spoke Wheels: The Diavel Carbon has lightweight forged, machine-finished wheels by Marchesini that not only achieve an impressive total weight savings of 5.5 lb. 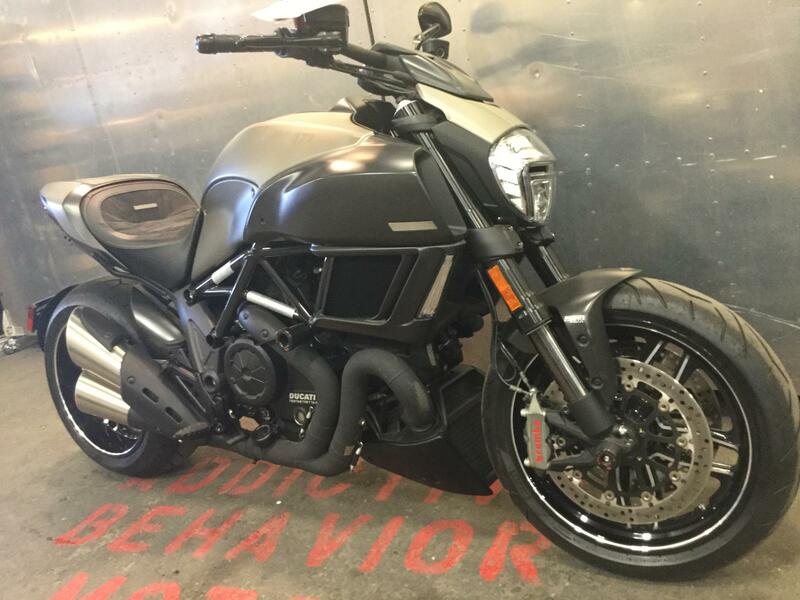 (2.5 kg) vs. the standard Diavel wheels, but also look spectacular. 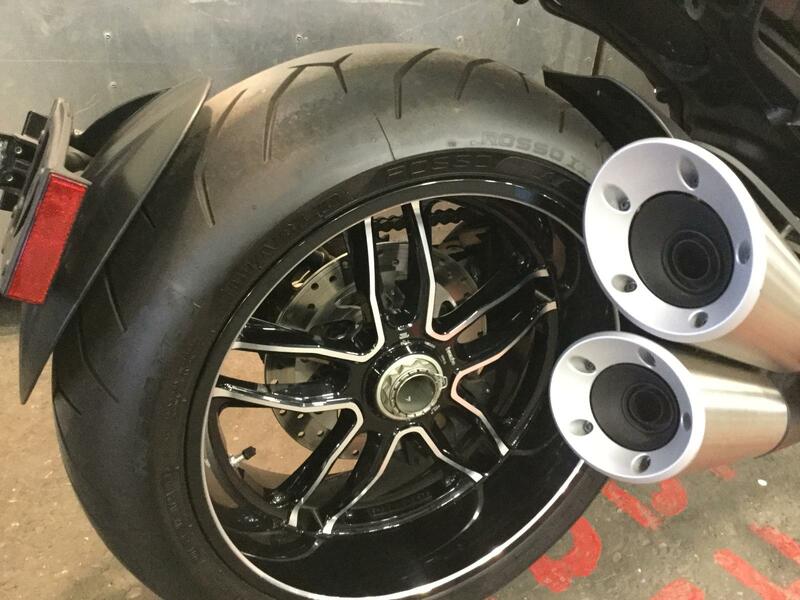 These highly intricate nine-spoke wheels feature machined details in natural aluminum, set against a black finish. 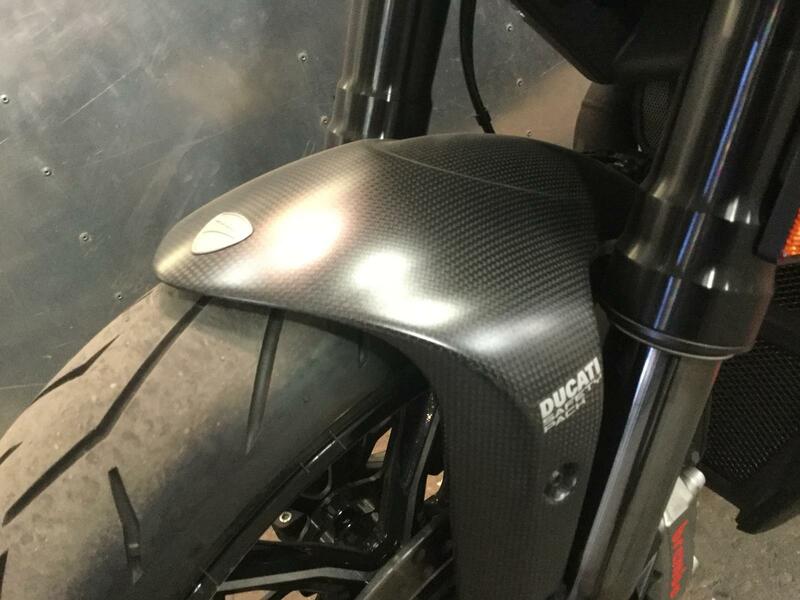 Seat: The Diavel Carbon features a dedicated seat, comfortable and beautifully shaped to fit the flowing lines of the machine, that includes a sleek and easily removable carbon fiber cover for the passenger portion. 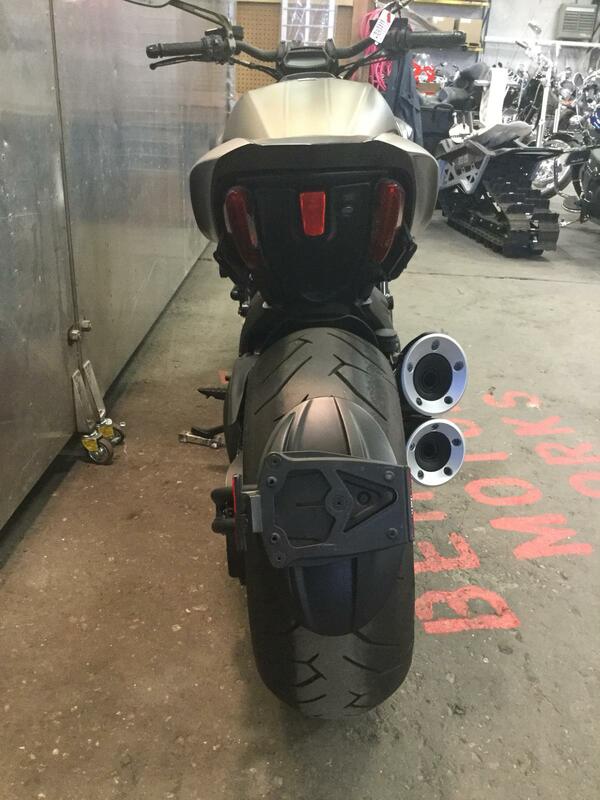 Exhaust: Stainless steel muffler with aluminium tips and brushed steel cover; catalyzer and 2 lambda probes. 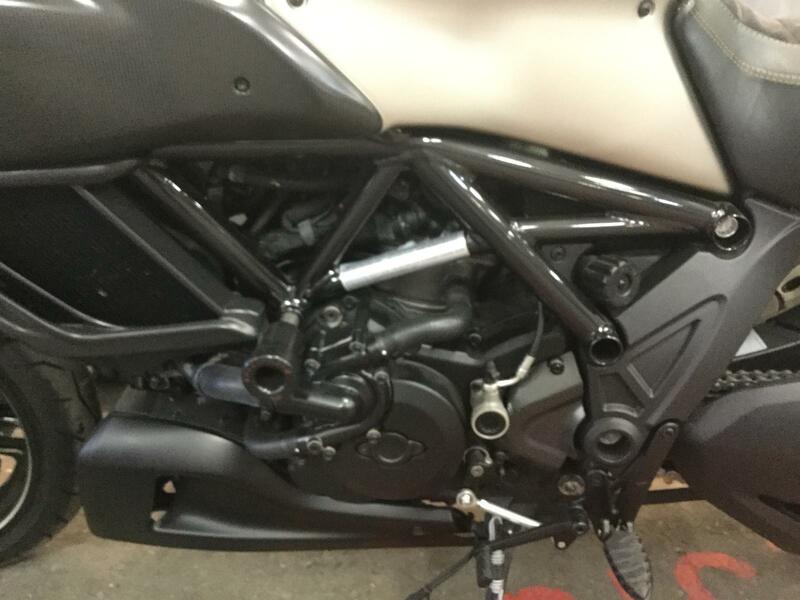 Zircotech ceramic coated exhaust tubes. 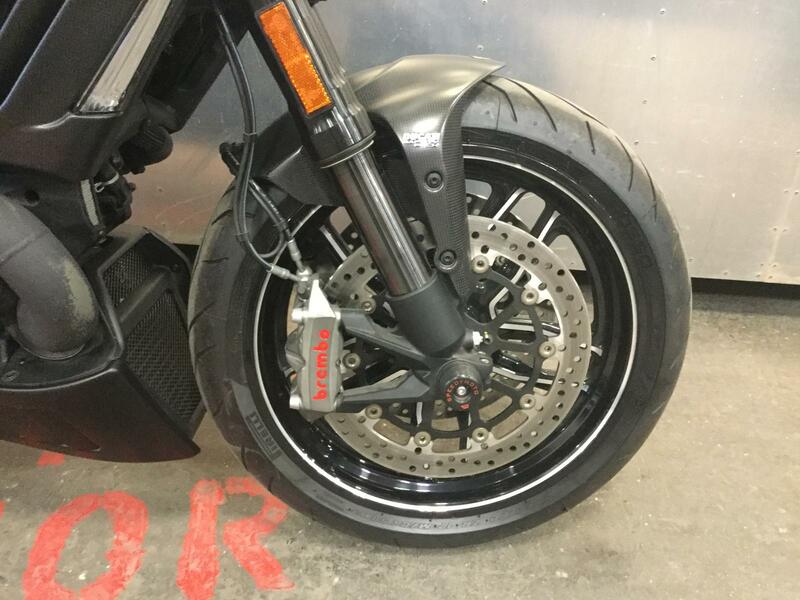 Front wheel: Dedicated lightweight forged alloy with machined finish, 3.50" x 17"
Rear wheel: dedicated lightweight forged alloy with machine finish, 8.00" x 17"
Standard Equipment: Riding Modes, Power Modes, Ducati Safety Pack (ABS + DTC), RbW, Hands-Free, full-LED headlight, front turnsignals with guidelights. 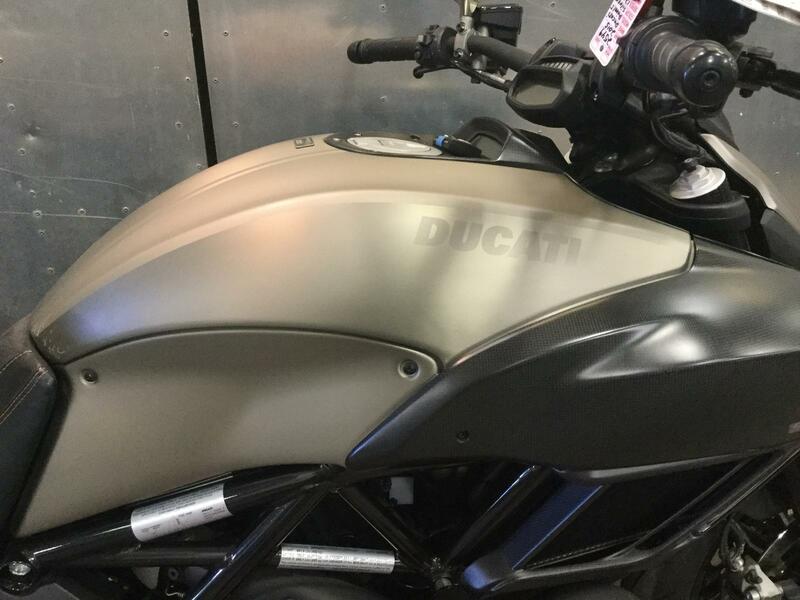 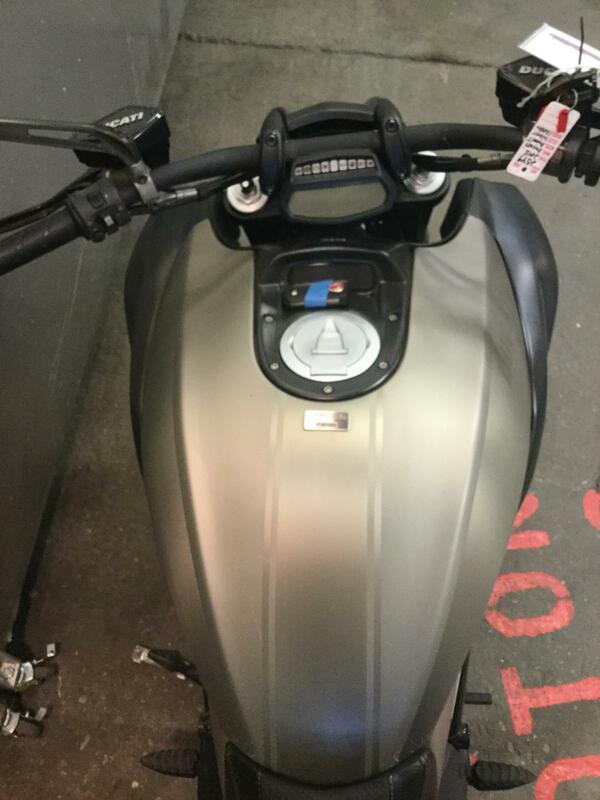 In titanium: tank cover, rear seat cover (carbon/ti), headlight cover. 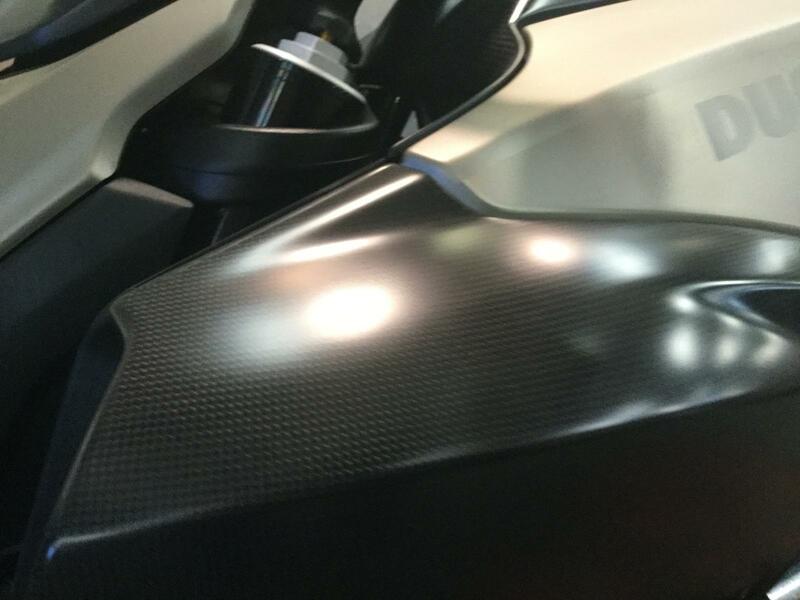 In carbon fibre: rear seat cover (carbon/ti), front sprocket cover, radiator covers, front and rear mudguards, gas cap cover, large air intakes, mini windscreen. 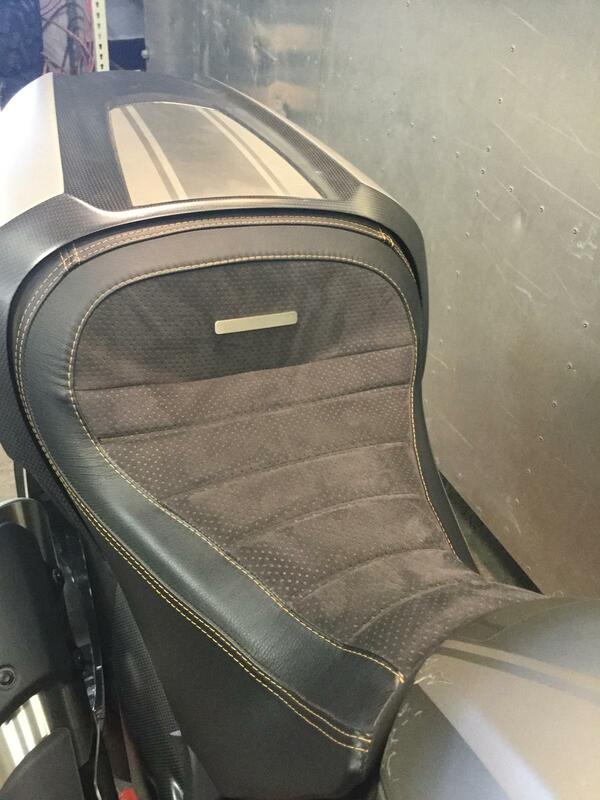 Other: black machined mirrors, alcantara/leather seat.